The kidneys are two bean-shaped organs located on either side of your spine below your ribs and behind your belly. They are only four to five inches long, but they are crucial to your body. 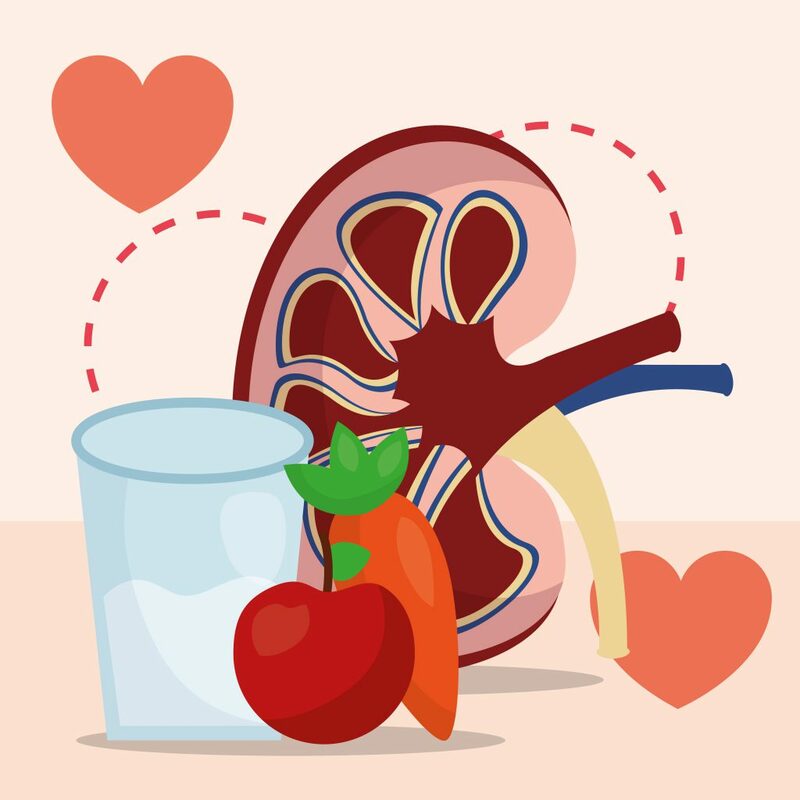 Kidneys are responsible for filtering your blood before sending it back to your heart, removing waste as urine, controlling the body’s fluid balance, and creating hormones that help produce red blood cells, promote bone health and regulate blood pressure. s around the kidneys, causing them to narrow, weaken or harden. This makes it difficult for the kidneys to filter blood well. Effectively manage your diabetes: If you have diabetes, make sure your blood sugar levels are in an acceptable range. If it’s not under control, kidney problems can result over time. Eat healthy foods and exercise: Healthy eating and exercise improves your heart health and helps you maintain a healthy weight. It also helps lower high blood pressure and blood glucose levels. Limit your salt intake: Reduce the sodium in your diet, aiming for less than 2,300 milligrams per day). Large amounts of sodium in your bloodstream can reduce your kidney’s ability to remove the water, resulting in high blood pressure and putting a strain on the kidneys. Use medications correctly: Some medicines can damage the kidneys if taken regularly for a long time. This includes over-the-counter medicines such as pain relievers (e.g., aspirin, ibuprofen and naproxen [Aleve®]), as well as medicines used to treat heartburn, ulcers and acid reflux. To avoid kidney complications, talk to your provider when taking medicines, be sure to take them as your provider recommends and follow the package’s instructions. Stop smoking: Smoking can limit the blood flow to organs such as your kidneys, and it can affect medications used to manage high blood pressure. In general, quitting smoking will only improve your health. Limit your alcohol intake: Consuming too much alcohol can cause changes in the function of your kidneys, making them less able to filter blood. Moderate amounts of alcohol (one drink per day for women and two drinks per day for men) is a healthier option that usually has no serious health effects. For more information on preventing or managing health conditions that cause kidney damage, talk to your health care provider. Need a health care provider? Call Care Connect at 410-871-7000 or search our online physician directory.